Home » WOD Blog » Blame Canada! The ideal Wall Ball shot has a good lumbar curve, weight in the heels, elbows down and in, and the Med Ball in front of the face and chest. You should catch the ball in the exact same position that it takes off from you. “Singing ‘rewires’ damaged brain” by Victoria Gill, BBC News. The gym will be CLOSED on Monday, May 31st, in observance of Memorial Day. 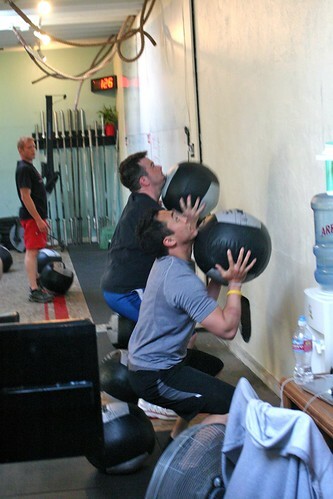 Attend our CrossFit 101 this Saturday at 1100!